Barefoot on Vitamin D, written by Robert Barefoot, focuses on a variety of clinical studies within the medical community that discuss the importance of Vitamin D and the affects of this essential vitamin on the human body. He discusses the necessity of a diet rich in Vitamin D and Calcium to promote natural health. 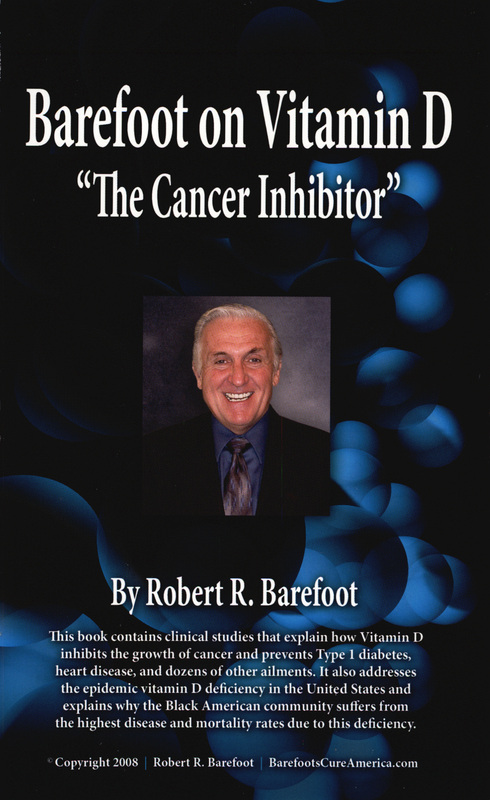 Barefoot relates clinical studies which show the role of Vitamin D in the inhibition of cancers, and the prevention of heart diseases and type I diabetes. The book also discusses the growing Vitamin D deficiency spreading across the country. This is a direct result of more and more people avoiding natural sunlight exposure for fear of skin cancer or other related ailments. As a result, the body is being deprived of natural resources needed to promote health.